Cloud computing is not for everything and not for everyone, but it has made a permanent mark in the lexicon of technology services. 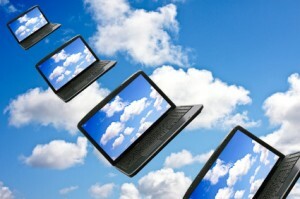 In simplistic terms, the cloud is any application, file host, or virtual computer that is accessed solely via the Internet. The hardware and software actually running those services could be anywhere and therefore is referred to as being in "the cloud." The cloud originally was the graphic reference for the Internet in a corporation's network diagram, but now it refers to the services available via the Internet. Security professionals have always had concerns over remote file hosting sites (FHSs) and the recent Tech News about services like RapidShare and Dropbox came to light this week confirmed some of those concerns. Data security in the cloud is like a verbal agreement - as good as the paper it's written on. Yet the general public and some individuals in large corporations flock to these services daily - completely unaware of the security risks or understanding how "the cloud" works. Personally Identifiable Information and other sensitive data is floating around and often falls out of the cloud, landing in the wrong hands. Regardless of the encryption or security practices professed by a cloud provider, once the data leaves your network, you no longer own, control, or are able to audit that data. In the case of a subpoena at a data center, a cyber attack or when a device is stolen from a cloud host, that data has been compromised. There are great advantages and cost-savings to using cloud-based options to accomplish certain business goals. Renting processing time and applications can work out to a lower total cost of ownership, but beaware of the strings attached. I have taken many applications for test-drives in the cloud, but when I am responsible for transferring sensitive data on which my employer's integrity and liability are on the line, I prefer using a secure managed file transfer product to drive through the cloud. Connections that are configured correctly will securely send and retrieve files that meet or exceed compliance requirements. GoAnywhere Managed File Transfer is a solution that easily encrypts, securely sends, and processes data over your existing internet connection. It can also automate file transfer workflows and securely move data between your cloud and on-premises environments. Achieve secure cloud file transfers for your organization.